This image was taken back in February, on a grey day, at Kinderdijk in the Netherlands. The windmills of Kinderdijk are one of the best known Dutch tourist sites. They were placed on the list of UNESCO list of World Heritage Sites in 1997. 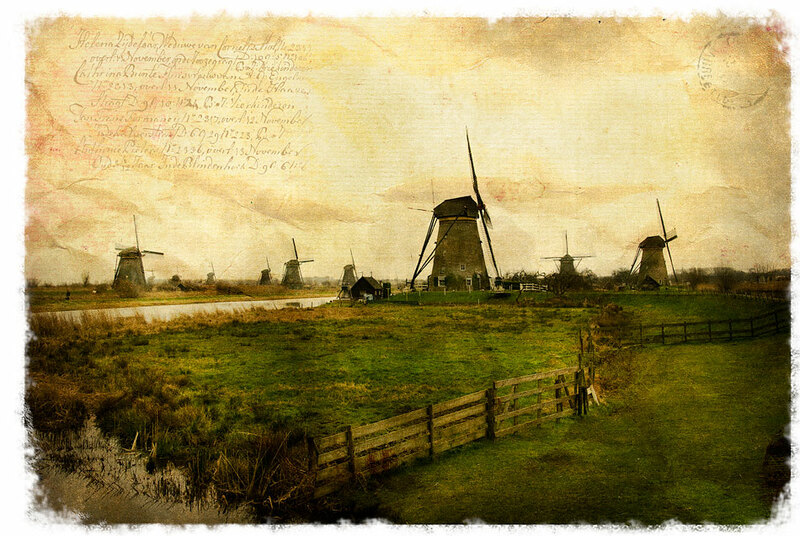 This entry was posted on Friday, July 25th, 2008 at 15:43 and is filed under Digital Art, Forgotten Postcards and tagged with altered, digital, dutch, forgotten, holland, kinderdijk, landscape, netherlands, photoshop, postcard, unesco, windmill. You can follow any responses to this entry through the RSS 2.0 feed.